Does a 401(k) Contribution Reduce Taxable Income? Many for-profit employers set up 401(k) plans as a way to help their employees save for retirement. How contributions to your 401(k) plan affect your taxes depends on whether the contribution is made to a traditional 401(k) plan or a Roth 401(k) plan, and whether you are making the contribution or your employer is contributing on your behalf. Understanding the 401(k) advantages when it comes to income taxes can help you budget for your tax refund as well as motivate you to save more for retirement. Contributions to a traditional 401(k) plan will reduce your taxable income for the current year, but Roth 401(k) contributions won’t reduce your taxable income. When you defer a portion of your income to your traditional 401(k) plan, those contributions reduce your taxable income. 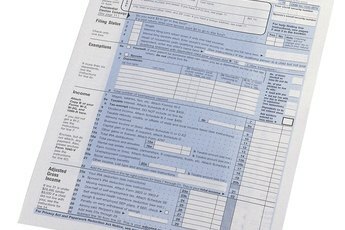 In fact, your employer won’t even report the contributions as part of your taxable income on your Form W-2 at the end of the year. For example, if your salary is $45,000 and you contribute $1,500 to your traditional 401(k) plan, your Form W-2 will only show $43,500 of income subject to income tax. Because the income is already excluded from the start, you won’t claim a tax deduction for your contributions on your actual tax return. Your contributions to your 401(k) plan, however, do not reduce the amount of your income subject to FICA taxes. FICA taxes, also known as payroll taxes, include the Social Security tax and the Medicare tax. The tax rate for these two taxes is 12.4 percent for the Social Security tax and 2.9 percent for the Medicare tax. But, employees split these taxes with their employer, so you only have 6.2 percent withheld from your paycheck for Social Security taxes and 1.45 percent withheld for the Medicare tax. Also, the Social Security tax only applies to a maximum amount of income each year – $128,400 as of 2018. For example, say your salary is $89,000. If you defer $7,000 into your traditional 401(k) plan, you’ll have only $82,000 in income that’s subject to income taxes. But, the full $89,000 salary will still be subject to both Social Security taxes and Medicare taxes. To figure out how much your contribution to your traditional 401(k) plan will save you on taxes that year, multiply your marginal tax rate by the amount of your contribution. The tax savings vary depending on your marginal tax rate. For example, say you contribute $2,000 to your 401(k) plan. If you’re only in the 10-percent tax bracket, that contribution reduces your taxes by $200. But if you’re in the top 37-percent tax bracket, that same $2,000 contribution saves you $840. But remember that you will have to pay income taxes on the distributions from your 401(k) plan. As a tax-deferred account, the money inside the 401(k) plan grows tax-free as long as the money remains in the account. This helps you grow your retirement nest egg faster than a taxable account, like a regular brokerage account, because you don’t have to pay income taxes on the gains each time you sell an investment. For example, say you bought $10,000 worth of stock, and it grew to $13,000. If you owned the stock in a brokerage account, you would pay taxes on the income, either at ordinary income tax rates if you held the stock for a year or less or at long-term capital gains rates if you held it for a year or more. If you had to pay a 15-percent tax rate on the profits, you would only have $12,550 to reinvest. But, if the gain is inside a 401(k) plan, the profits aren’t taxed, and you can reinvest the full $13,000 to continue to grow your nest egg. The tax savings of a 401(k) plan don't last forever, however. When you take distributions from your traditional 401(k) plan, the withdrawals are included as part of your income and taxed at ordinary income tax rates. Some employers offer a Roth 401(k) option in addition to a traditional 401(k) plan. The Roth 401(k) is similar in that the money in the 401(k) plan grows without being taxed as long as the money remains in the account. Also, contributions that you make to your Roth 401(k) are still subject to payroll taxes, just like the contributions you make to your traditional 401(k) plan. However, the tax savings are flipped; contributions to a Roth 401(k) plan don’t reduce your taxable income, but when you take qualified distributions from the Roth 401(k), you won’t pay income taxes on the withdrawals, including any earnings. To take a qualified distribution from your Roth 401(k) plan, you must have the account open for five years and you must meet one of the following criteria: you must be at least 59 ½-years-old, you have suffered a permanent disability or you are taking distributions from a Roth 401(k) plan as a beneficiary because you inherited the account from a decedent. Some employers offer an additional perk to their employees through contributions to their 401(k) plan. Certain companies automatically make a contribution, such as contributing 3 percent of each employee’s salary regardless of whether the employee makes a contribution or not. Other employers offer a matching contribution, such as matching whatever the employee contributes to the account or matching a certain percentage of their employee’s contributions. For example, an employer might make a matching contribution of 50 percent of your contributions, up to 8 percent of your salary. So, if you earned $50,000 per year and you contributed at least $8,000, your employer would contribute $4,000. The contributions your employer makes to your 401(k) plan always go into the traditional 401(k) account; they cannot be added to your Roth 401(k) account. However, when the contributions are made, the contributions are excluded from both your taxable income that year as well as exempted from payroll taxes. For example, if your employer adds $1,000 to your 401(k) plan on your behalf, your taxable income won’t go up, and you won’t see any extra money withheld from your paychecks for FICA taxes. Another of the 401(k) advantages is that your 401(k) contributions, whether you make them to a traditional 401(k) plan or Roth 401(k), can qualify you to claim the Retirement Savings Credit. This credit is a nonrefundable credit worth up to $1,000 if you file an individual return or $2,000 if you file a joint return. To be eligible, you must be at least 18-years-old, not a full-time student, not claimed by anyone else as a dependent and your adjusted gross income can’t exceed the threshold for your filing status. You calculate the credit by multiplying the amount of your qualified retirement plan contributions, capped at $2,000 per person, by the percentage applicable based on your income and filing status. Contributions you make to a traditional 401(k) plan or Roth 401(k) plan are included in calculating the credit, but contributions that your employer makes to your 401(k) plan on your behalf do not count toward calculating the credit. The applicable percentage ranges from 10-percent-to-50- percent. For example, say that you’re single and you defer $2,200 to your 401(k) plan. You’re limited to counting only the first $2,000 toward calculating your credit. If your adjusted gross income falls in the 50-percent income bracket, your credit will be $1,000. But, if your adjusted gross income is higher and falls in the 10-percent bracket for purposes of calculating the credit, your credit would only be $200. The maximum contribution to 401(k) by employees in 2018 is $18,500. Also, the total 401(k) contributions made by both you and your employer can’t exceed $55,000. These limits are cumulative for contributions to both traditional 401(k) plans and Roth 401(k) plans, as well as if you have multiple 401(k) plans you are eligible to contribute to during the year. However, if you are age 50 or older, you’re allowed to make an additional catch-up contribution of up to $6,000. For example, if you are under 50-years-old and contribute $10,000 to your traditional 401(k) plan, you can’t contribute more than $8,500 to a Roth 401(k) plan. Or, if you work multiple jobs and you contribute $9,000 to your 401(k) plan through one employer, you can’t contribute more than $9,500 to your 401(k) plan at your other job. You’re eligible to claim the Retirement Savings Credit in 2018 if your adjusted gross income doesn’t exceed $63,000 if you’re married filing jointly, $47,250 if you file as head of household and $31,500 if you use any other filing status. For joint filers, the credit equals 10 percent of your eligible contribution if your adjusted gross income is between $40,000 and $62,000, 20 percent if your adjusted gross income is between $37,000 and $40,000 and 50 percent if your adjusted gross income is below $37,000. For heads of household, the credit equals 10 percent of your eligible contribution if your adjusted gross income is between $30,000 and $46,500, 20 percent if your adjusted gross income is between $27,750 and $30,000 and 50 percent if your adjusted gross income is below $27,750. For single filers, the credit equals 10 percent of your eligible contribution if your adjusted gross income is between $20,000 and $31,000, 20 percent if your adjusted gross income is between $18,500 and $20,000 and 50 percent if your adjusted gross income is below $18,500. The maximum 401(k) contribution for employees in 2017 is $18,000, and the maximum amount that you can contribute as a catch-up contribution is $6,000. When combined with your employer’s contributions on your behalf, the total can’t exceed $54,000 for the year. You’re eligible to claim the Retirement Savings Credit in 2017 if your adjusted gross income doesn’t exceed $62,000 if you’re married filing jointly, $46,500 if you file as head of household or $31,000 if you’re single, married filing separately or a qualifying widow or widower. For joint filers, the credit equals 10 percent of your eligible contribution if your adjusted gross income is between $41,000 and $63,000, 20 percent if your adjusted gross income is between $38,000 and $41,000 and 50 percent if your adjusted gross income is below $38,000. For heads of household, the credit equals 10 percent of your eligible contribution if your adjusted gross income is between $30,750 and $47,250, 20 percent if your adjusted gross income is between $28,500 and $30,750 and 50 percent if your adjusted gross income is below $28,500. For single filers, the credit equals 10 percent of your eligible contribution if your adjusted gross income is between $20,500 and $31,500, 20 percent if your adjusted gross income is between $19,000 and $20,500 and 50 percent if your adjusted gross income is below $19,000. IRS: Retirement Plan FAQs Regarding Contributions - Are Retirement Plan Contributions Subject to Withholding for FICA, Medicare or Federal Income Tax? 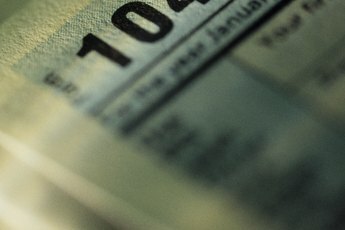 Does the 125 Plan Affect My Tax Return? Can You Deduct 401(k) Contributions From Your Adjusted Gross Income? 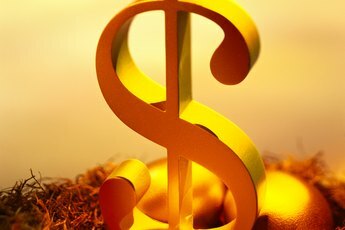 Can I Still Contribute to an IRA if I Have a 401(k) Plan at Work? Can I Have Two 401(k) Plans at the Same Time? Does Buying Stock Reduce Taxable Income? Do 403(b) & 401(k) Limits Combine? How Are Taxes Calculated with an Early Withdrawal From a TSP?